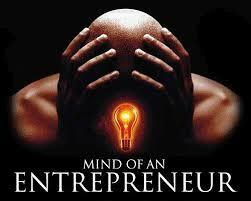 Becoming a successful entrepreneur is first and foremost a mental battle. Countless factors go into determining how successful you'll be in the world of business. Having an unwavering determination, strong willingness to sacrifice, a high level of commitment, and of course the quality of your business ideas. All of these are going to have a very real effect on if (and how) you'll achieve greatness as an entrepreneur. For instance, Tim Ferriss shared with me over on CreativeLive, that even something as seemingly insignificant as choosing the right friends has made a huge impact on his trajectory as an entrepreneur, investor, and bestselling author. However, all of these aspects pale in comparison to the most basic requirement that so many would-be entrepreneurs fail to excel at: having the right mindset. From my interviews with accomplished entrepreneurs and through my own personal experience, here are the 5 most influential mindset changes that successful entrepreneurs make early on. 1. Every Failure is an Opportunity. Setbacks are inevitable along your journey to the top. You need to decide very early on that any failures you encounter, no matter how large or painful, won't be crippling to your mental fortitude - they're merely learning opportunities. 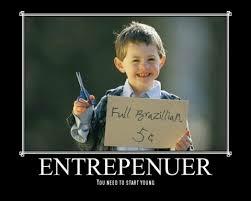 Nearly all successful entrepreneurs have had tremendous failures. It's their determination to learn from those experiences and continue progressing in their fields, that truly set them apart. 2. Complaining Gets You Nowhere. When you do (you will) experience difficulties, hardships, and failures, you need to make a very conscious decision to never waste time complaining. Collect yourself, take adequate time to fully understand why you failed, and pick apart how you're going to avoid the same mistakes in the future. After that, it's time to move on and tackle your next set of goals, otherwise you'll allow your mistakes to define you. 3. Discomfort is Essential to Success. If you're not regularly pushing yourself outside of your comfort zone, you're not growing as an entrepreneur. You're not learning. You're not discovering new and exciting tactics that could help you significantly grow your business. Even when times are good, it can feel like the smart decision is to keep moving forward with what's been working in the past. However, that's not how you're going to achieve exponential growth. What's more, is that whether you know it or not, you have competitors out there who are willing to push themselves to their limits and they'll uncover faster growth levers than you will, by playing it safe. It almost goes without saying that entrepreneurial success is defined by taking risks--calculated risks, that is. Choose to be curious. Investigate why things are the way they are. Hypothesize how you can make them better. If you're afraid to challenge the status quo, or you're not interested in questioning why inefficiencies exist in your industry, you're not going to forge a path toward meaningful innovations that'll shape our future. In the end, your success as an entrepreneur will be defined--more than anything else--by how much you believe in yourself and your ability to prevail over all obstacles you'll inevitably face. Don't allow the excuses of lacking an Ivy League education, having inadequate financial resources, and repeated initial failures go on to define who you are. Know deep down that you're going to be successful, commit yourself to making it happen, and nothing can stop you.